'This September day was a day to remember for Ali and Caleb's Wedding. Ali's family home made the perfect setting for pictures and Pomme in Radnor, PA was the best venue to have Ali and Caleb's vision for their wedding come to life. Enjoy these pictures by Love Me Do Photography! We love these unique and amazing bridesmaids dresses! The floral arrangements by Cottage Flowers really pulled everything together! Thank you Ali and Caleb for letting us be a part of your special day. We wish you a lifetime of happiness and love! This wedding is one I will never forget. From the moment we met, we clicked and the wedding planning began. First stop, Water Works, the best wedding venue in Philadelphia, in my professional opinion, and Kelly and Dario agreed. Enjoy this stunning wedding and the beautiful photography from Danfredo. Stunning stationery from Love Leigh Invitations, this water color overlay is magical! From our in house inventory we added these chair sashes for the aisle chairs and moved them to surround the head table-which was perfect! This is why I love what I do. I presented Kelly with this dance floor and without hesitation she was on board. We set it on the diagonal for more interest and centered under the massive chandelier. Thanks to Bobby Morganstein for these beautiful pieces. The perfect touches were these acrylic table numbers and place cards, small details that make a big impression. We loved planning this wedding, getting to know this truly sweet couple and their families! Lauren & Michael are the perfect match! They truly complete one another which showed beautifully on their wedding day and in their pictures! It was so heartwarming to see how happy they made each other. It was an honor to play a part in their wedding! Such a simply beautiful dress.. We loved it!! So excited before walking down the aisle!! Congratulations to Mr. & Mrs. Covington! With my whole heart, for my whole life. I choose you this day and everyday. That ring though!! So gorgeous! Absolutely loving the small bridal parties that are becoming so popular! I think it's so sweet to have the people who mean the absolute most to you stand with you on your wedding day! It makes it all the more special! Together is a beautiful place to be! Such a beautiful first dance! Here's to love and laughter and happily ever after! We had so much fun making this board for Lauren and Michael's wedding!! We are able to customize it for any of our brides! Eat, Drink & Be Married! & so the adventure begins! Congratulations to Mr. & Mrs. Covington! We wish you nothing but the best! A special thanks to all the vendors!! We were so lucky to be able to work with Stacy and Richard for 2 years! We absolutely loved working with them and couldn't have been happier to see them finally get married! Stacy had great style and vision that went into every detail of the wedding, which made working with her such a breeze! This wedding included so many personal touches that made it enjoyable for every guest! Absolutely obsessed with this picture of Stacy's flower girl! Absolutely swooning over these pictures in the vineyard!! These three were too adorable!! Valenzano Winery was the perfect venue for this couple! Savannah's Garden did such a great job with the flowers at the ceremony (& the entire wedding)!! Wine a little, laugh a lot! First dance as Mr. & Mrs. Exter! This awesome bride surprised her husband (who is a major Phillies fan) with a special appearance from the Phillie Phanatic! This Phanatic got the WHOLE WEDDING up and out of their seats and onto the dance floor!! Such an awesome idea for the sports fan in your life! We adored working with such a genuine couple!! We were so happy to be a part of their special day!! We wish Stacy & Rich nothing but the best in all their future endeavers!! When first met LeeAnn and Matt, they came to our office to sit down and discuss the potential of us working together in planning their wedding. As LeeAnn walked us through her vision for the day, she mentioned that she was holding the reception in her parent’s barn. The barn was currently being used to house tractors, one being hers that her father fixed up so she could race – yes race, and the barn was too small to hold her estimated guest count of 250. Well, ask and you shall receive. LeeAnn’s dad decided he needed a larger barn anyway, and his daughter’s wedding was a good enough excuse to make it happen. Such sweet moments captured at Lee Ann's church she grew up going to! Josiah & Steph did such a great job capturing all of Lee Ann and Matt's special moments!! Who knew a family barn could be transformed into such a beautiful venue? We did!! Gorgeous floral design done by A Garden Party! Such a genuine moment! Matt signing Lee Ann's favorite song! Time Of Your Life Entertainment kept these guests on their feet all night! Sparklers added such a nice touch for guests to send this couple off! We are lucky to meet people from all over the globe and help them marry their soulmates, but it was an absolute pleasure meeting with LeeAnn, Matt and their families throughout the entire process. You’d be hard pressed to find sweeter people. Thank you Lee Ann and Matt for letting us be apart of your special day! We wish you nothing but the best in this new chapter of your lives! FURNITURE RENTALS: Party Rental Ltd. Weddings are such an amazing time for the couple and all of the special people in their life. It's a wonderful time to reminisce on old times, fantasize about the future, and celebrate the present. And speaking of presents, we have your perfect gift-giving guide to shower the bride, groom and everyone in between. Happy gifting!! 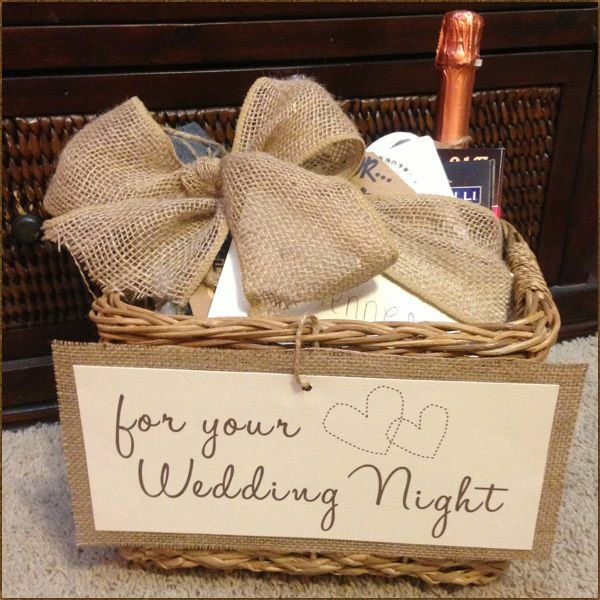 We love these DIY presents for the bride! There are so many gifts that you can give a bride that she could put to good use. But some of the best gifts are the one's you put together yourself because they mean the most! Guys are always so hard to shop for.. but these four options have a wide price range giving a perfect gift option to any budget! Bridesmaids can be the bride's saving grace during the crazy, special, and sometimes stressful time of her wedding. Therefore, when buying them a present to show your appreciation it's good to take into consideration what they like, what they can use during the wedding and most importantly what they will use after the wedding. There is no point in spending money on something your girls we only use for a few hours, one day, or even one week. The groomsmen are probably the most laid back group in the wedding party. But they keep the groom in check on the day of the wedding (since the bride can't) and for that they deserve a little something! The mothers of the couple are probably the most important people aside from the actual couple. Mother's of the bride or groom love their title of their role and all of the responsibilities that come along with it. Unlike bridesmaids or groomsmen they will most likely only have this experience once or twice (depending on how many children they have) so labeling everything for them isn't just tolerated it's greatly appreciated. The father of the bride was the first man the bride loved. He gets to walk the bride down the aisle to give her away to her new husband and has his own dance with the bride. So, honoring him with a present is sweet. Especially since he traditionally pays for most of the wedding. No matter what you get for all of the special people in your life they are sure to love it! After all it is the thought that counts! Happy gifting!